November 11, 2016 marked the 8th anniversary of Alibaba’s Global Shopping Festival, cleverly coined ‘Double Eleven’. In the run-up to November 11, media reports forecasted Alibaba retailers to rack up a whopping $20 billion worth of gross merchandise volume (GMV). Everyone was convinced Alibaba’s 2016 shopping festival would again shatter all records. And – much to no one’s surprise – it did. Although it didn’t reach the predicted $20 billion, Alibaba retailers did amass $17.7 billion GMV sales in one day! An increase of almost 24% compared to 2015’s $14.3 billion GMV. It was very clear that Alibaba faced enormous pressure to surpass 2015’s figures. In order to do so, Alibaba pulled out all the stops. On November 10th, in the lead-up to the official midnight start of ‘Double Eleven’, Alibaba hosted its Global Shopping Festival Gala Show in Shenzhen. It has been reported that some 35 million people tuned in to watch this live event on TV and online. 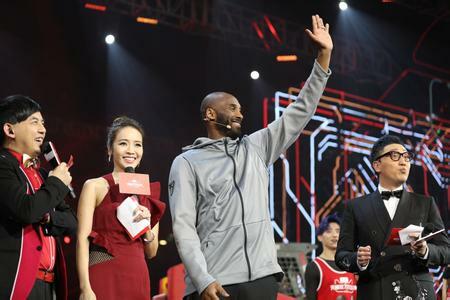 During the gala a wide range of international celebrities such as Kobe Bryant and David and Victoria Beckham ascended the stage to help brands market their products. During the gala consumers could participate in competitions by shaking their smartphones to win apparel worn by the celebrities. Furthermore, real-time consumption activity was shown during the show according to different cities in China, sales ranking of each Tmall product category, global transaction volume, etc. Yet, what really struck me in the weeks and days before November 11 were the never-ending waves of ads – more so than the years before – streaming into our lives. No matter where you looked, no matter where you turned, you would always be confronted with ads from one of many e-commerce platforms, urging you to prepare yourself for 11.11. The tacky over-the-top American-style ads that reigned supreme in the years before had made way for urban, international youth dancing gaily against neon cat-shaped backgrounds (Tmall’s logo). When the clock struck midnight, millions of people rushed to buy their products that had been sitting in their shopping cart for days, if not weeks. 52 seconds into November 11th, Alibaba retailers had already made 1 billion RMB. However, this year, I was able to contain myself and chose to conduct an experiment to ascertain what I already knew: not every retailer is willing to ‘participate’ in this shopping spree festival. Of course, almost every online store will communicate to its customer base that they are holding an 11.11 sale. However, in many cases, online stores would raise the prices of certain products a few days/weeks before ‘Double Eleven’, only to drop prices again on November 11 to give people the feeling that they are getting a bargain. Some other shops would grant discounts, but very limited, unlike a few years back. 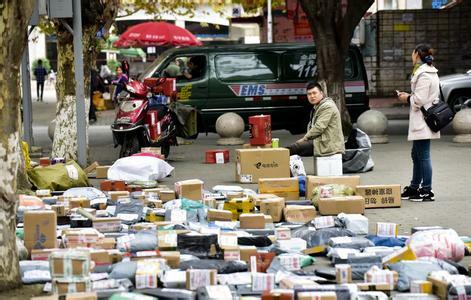 It is understandable, though, that many retailers do not wish to get sucked in Alibaba’s ‘Double Eleven’ discount maelstrom, since many retailers would actually only stand to lose money. On the other hand, if they don’t participate, they probably will lose traction with their Chinese consumer base. For many retailers November 11 is a double-edged sword. When I exited my apartment building late in the morning on November 12th, I was greeted by a procession of excited neighbors, the majority of whom were still dressed in their pajamas. They were hurrying back to their homes, carrying parcels and pushing Xiaomi 55” flat screen TVs on rickety carts through the narrow walkways between the high rises of our gated community. When I got to the gate, it looked like a small marketplace had formed in front of the compound. Large delivery trucks were offloading large household appliances. Express delivery ‘three wheelers’ had each claimed a piece of the sidewalk to stall out their dozens – if not hundreds – of parcels. Weary, red-faced delivery men and women were shouting at their phones. Throngs of residents waded through the parcels impatiently, searching for their names. * More than 81% of sales happened on mobile devices. * Consumers from 235 countries participated. * International transactions increased with 60% compared with 2015. * Top 10 selling brands: 1. Suning; 2. Xiaomi; 3. Rongyao; 4. Haier; 5. Uniqlo; 6. Nike; 7. Meizu; 8. Three squirrels; 9. Midea; 10. Adidas. * JD.COM's sale saw a 78% increase from 2015. * Suning had a 193% increase of sales compared with 2015. * Guomei recorded 200 million RMB in sales, 10 times the amount of 2015.